For all you folks that haven’t found the beauty in beets yet these tasty beet fries may provide the enlightenment you’ve been looking for. They’re sweet, spicy, and irresistibly crunchy…not to mention guilt free. Start by preheating your oven to 450 and line a cookie sheet with parchment paper. Next, peel your beets and cut into rectangular French fry like pieces before tossing with a little bit of olive oil, kosher salt, and your favorite pepper such as cayenne or Sichuan. If you’re not into spicy you could substitute thyme, mint, or rosemary. 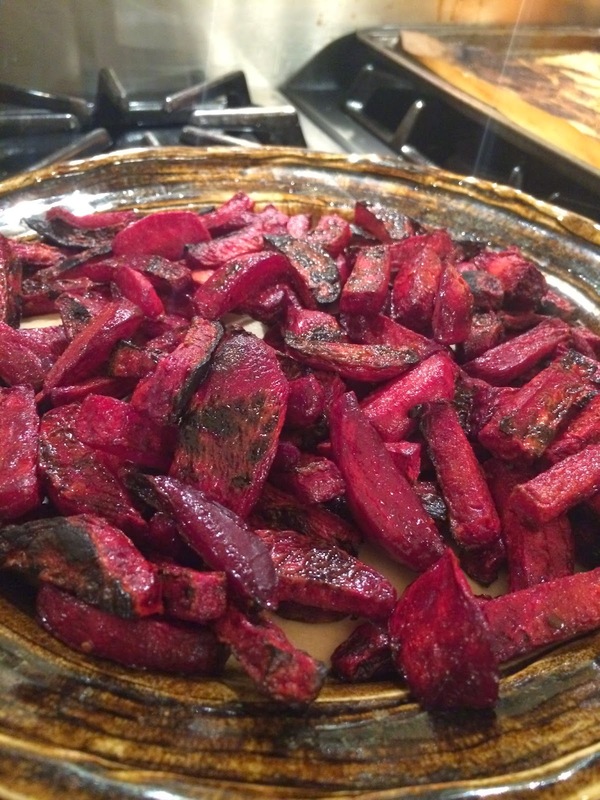 Roast your beets for approximately 50 minutes flipping them halfway through. What you’re looking to do is get them crispy with a little char to bring out all their sugary goodness. Salt to taste before serving.